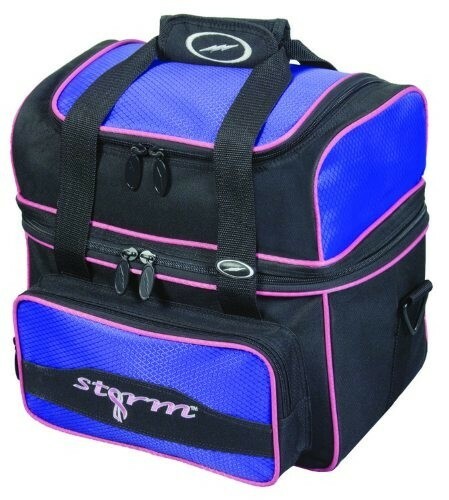 Show your support for the fight against breast cancer with this Storm 1 Ball Flip Tote. The perfect holster for your bowling weapons! Carry 1 ball, shoes, and accessories to your next league night or tournament in style. orginally bought a bag with the shoes pocket in the back. No room. Spent a little more money and got this one. It's more than enought room for my ball, shoes, toweland then some. More than pleased with the quality and the color. Due to the time it takes to produce the Storm 1 Ball Flip Tote Black/Purple ball it will ship in immediately. We cannot ship this ball outside the United States.